This 11" x 8" original antique map was recovered from "VERDUN: ARGONNE. 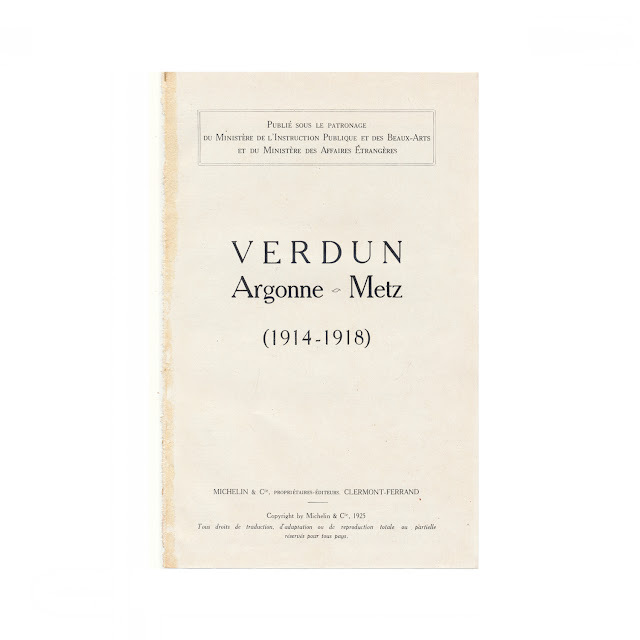 METZ 1914-1918," a 1918 illustrated guide to World War I battlefields published by Michelin and Company. The paper shows a touch of browning and soil, but is generally clean and crisp. Center crease. Title page from the original book shown for informational purposes and is not included with the sale.